Trebevic is Sarajevo’s backyard mountain. On a lovely Sunday afternoon local families love to walk up – at least partially – the 1629-meter hill through the mahalas, Sarajevo’s old residential areas. A common destination is the Olympic Bobsleigh Track from the 1984 Sarajevo Olympics. 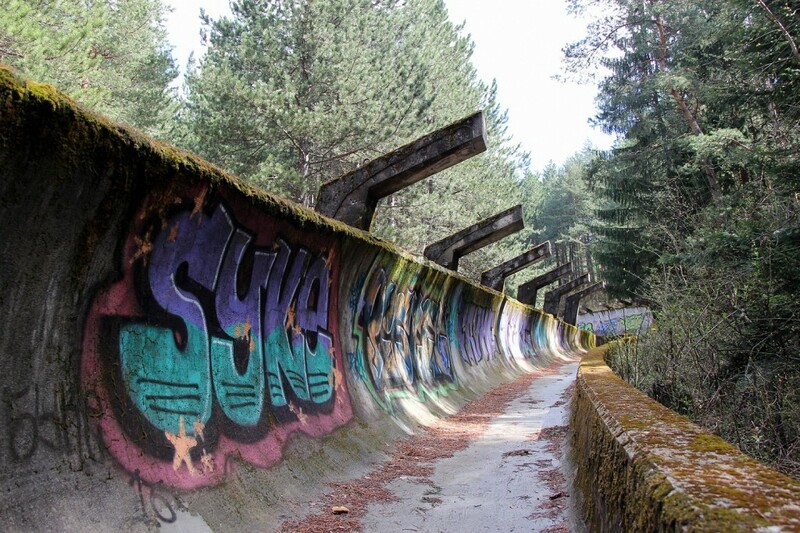 You can walk on and below the crumbling concrete construction, picnic in the finish area and imagine yourself sleighing down the 1300 meter long track. 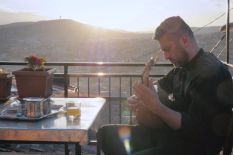 On the way down – unless you take the bus – a stopover at Kod Bibana, a beautifully located traditional restaurant is a must if you want to enjoy one of the most beautiful views of Sarajevo. Before the bustling city center has you back the peaceful slopes of the malhalas give an impression of life in Sarajevo in earlier days.